Why do Plumbers Merchants love Sharp-aX? In this country, there are a large number of Plumbers Merchants. 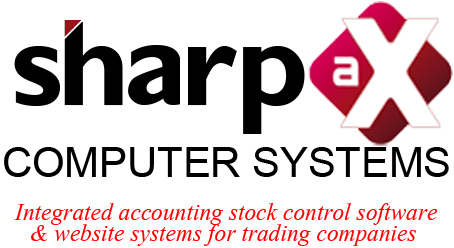 Sharp-aX Computer Systems is the perfect fit for all of them. Plumbers Merchants need to optimise their stock, have fast and efficient sales operations, competitive pricing and first-rate customer service. They need readily accessible management information. The Sharp-aX software is tried and tested and currently installed in sites throughout the country such as Ryans Direct in Liverpool, Uptrend in Coventry and Wharf in Stoke-on-Trent. We know about Plumbers Merchants! Kitting – essential for ordering bathroom suites with related products. Range selling – display ranges of products for fast order entry. KBB Integration – Kitchen Bathroom & Bedrooms and create full quotations using CAD. Stock by colour, by size. High cash sales generated from end user purchases. Deposit monitoring. Multiple suppliers for same products/different part numbers for each supplier. And of course the web portal for integrated out of hours customer order taking. Customer Relationship Manager with Marketing Module & Task Manager, Pricing Service, Rebates, Fully integrated websites, Key Performance Indicators, workflow rules and multiple product images in full colour plus our new Van routing and Directs (drop shipping) modules. Store all of the your knowledge into the system to ensure top class service, haggling (with margin control) and selling the product you would rather sell. This gives you the best of all worlds, better margins, improved reputation for customer service and the ability to move preferred stock. One entry to see quotations and/or orders through to delivery note / invoice / sales ledger and nominal posting. Where orders are specials, there is recognition at goods received time. All of this saves time, removes copying mistakes and frees your staff to work on more money making tasks. Drill down for complete information at point of sale, but only when you need to see it. Simple screens mean ease of use for all staff. Customer level report writing plus interface to Excel. Most of our customers start simply and use more and more facilities as their staff become familiar with the Sharp-aX software. As your business grows, use our report writing facility to recognise the strengths and weaknesses of your business for you to take prompt action. No waiting for your accountants to highlight sales below cost at the end of the year. 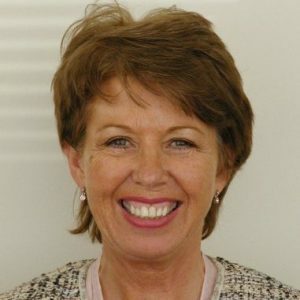 Jean Freeman – jfreeman@sharp-aX.com or call 01442 505950.